http://budgetlightforum.com/node/11337 Review of pre production version . Balder was kind enough to send me a new head [ XM-L 3 mode ] to play with . It was a simple task to remove the retaining ring from the old head and slipping it to the new one ! Whats different is an extra mode , also the light cycles continuously now from High [ always starts in high – this one ] to medium , than low , and back up to high . Most of you know I already like this light , and the 3 mode XM-L just makes it better . Im very pleased with the performance , but I must say that I still think it should be AA only , and maybe fitted with a more efficient AA only driver [ But thats just me ] . On the AA batteries , Im quite pleased , the light is very useful , throws a nice beam that floods well and ???? its just nice . On a pocket flashlight the XM-L emitter throws a beam that belongs on a larger light , and its by no means a thrower , and should such a small light try to be a thrower ? The 14500 is a hot potato , and I mean hot : On high , I can not recommend any extended running as I believe the host to simply be to small to handle the thermal output , and even on medium , whilst seriously impressive [ 300+ Lumen ] , did generate quite a bit of warmth which was gradually heating up the head . And lets not forget output sag , on high its somewhat of a serious issue , and on medium , its there , but much slower , weather is rather cold here ATM , and I wonder how it would go if it were 10Deg C warmer ? Well , on a 14500 , it really does perform : The output is HUGE for such a small light , and if you needed a pocket rocket for showing off , it will do the job . I really am impressed by the HD-1 XM-L , I found the output on a AA just about perfect , 9L on low is near on perfect for me . 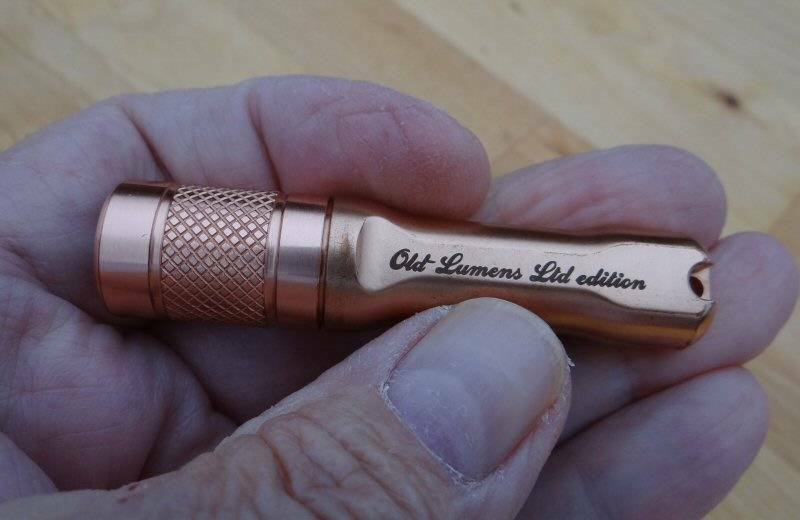 I know its not 1L , but I find 1L to be too puny , especially in slightly more challenging conditions [ rough ground , scrub , jungle – conditions that might challenge your life ] , so some extra lumens really help you see the things that need to be seen . Medium is very nice , around 90L and 1A = decent output with decent run time [ could possibly be improved upon with a AA dedicated driver ] , and High is up there with the best AA lights . A lot of things to like , and very little not to like : Beams tonight ! weather permitting ! Nice looking light, like other Balders. Are all those AAs 1.5 V ? Another beauty. It’s a ‘tail cap’ shorter then SE-1. WOW! This will be my next light. Do I need it? No. Do I want it? Yes. BTW, Martin. What is the length of the SE-o? Release date? Are we seeing directly on the piston through the cut-outs on the body? If so, I would be worried that the gunk and dust in my pockets would prevent the piston from working in a EDC role. Yes , that is the piston ..
Gunk = Pocket Lint ! , Ive been carrying this light quite a bit , and so far , not an issue . And everyone that see’s it , pretty much wants one .